They say that “data is the new oil” – that it is becoming the world’s most valuable resource. For years, policy makers have been capturing data and using it to make decisions – that’s the concept behind the Census. More recently, businesses and social networks have been using data to make organisational and marketing decisions – changing their supply chains, investment plans and sales strategies. But what if we could use data to solve social problems? 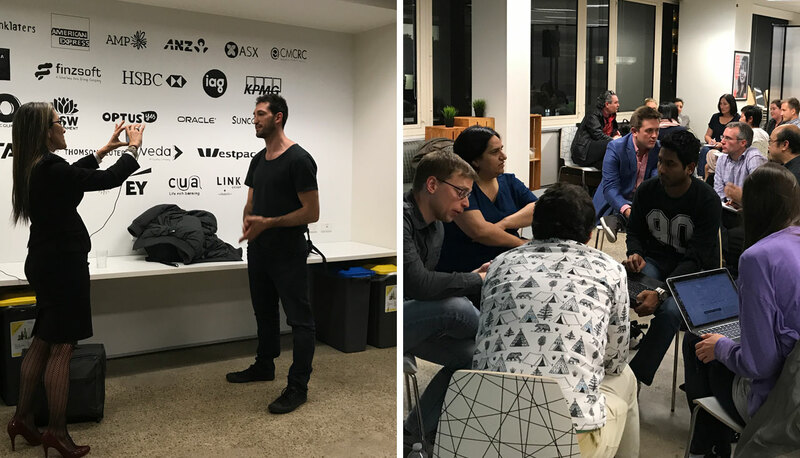 Back in July, when we were first planning Vibewire’s #Hack4Homelessness – a new and creative attempt to solve the social, technical, cultural and behavioural challenges of homelessness, we knew we would need data. Having run dozens of hackathons and innovation programs for large enterprise clients over the last few years, we knew that data wasn’t just an option. It was THE oil that makes the difference between a good idea and an amazing solution. So when the Minerva Collective came on board as a partner, we were very excited. It is clear that homelessness is an intractable problem – programs have been developed and resources created. People work tirelessly to solve it. And yet, it persists. We need a different approach. Last week, the Minerva Collective assembled over 60 data scientists at Stone & Chalk to explore how data may be able to be used to create new solutions to homelessness. Breaking into “swarm” groups they were able to draw upon the public data sets that we found and were able to access. They were also able to register for access to the new Domain Group APIs to find data about agencies and listings, content from the Domain Group editorial team and properties and their locations. We were told that it takes several years for a homeless person to get affordable housing and therefore off the waiting list. One idea that came to mind (but might not be feasible) is to make use of available (and under-used) living spaces rather than waiting for more apartments to be built. I was thinking of matching up elderly people living in big houses/apartments with homeless people who are willing to work and get free accommodation in return. I can imagine that there are many elderly people in the Sydney area who’d rather stay in their own home rather than moving into an old age village. However, they are often lonely and need help around the house. This is where homeless people could come in. An app could be built that matches up profiles of homeless people with elderly people. This whole process would of course have to be monitored (as many homeless people deal with mental illness). Also, this would most likely only provide short-term accommodation, but gives the homeless people more time to focus on finding a job without having to live on the street. One member in our group mentioned that it is difficult to reach homeless people and that they are often not aware which documents are needed to be added to the list to get affordable housing. Maybe an app for homeless people could be built with all the important information available. This could consist of check-lists of forms needed, GPS locations of food-trucks, and lists of help services available for the homeless. Our concept is already made progress. At Refugees Welcome we aim to connect people seeking asylum or people of refugee backgrounds to homes with spare rooms, so that it is a more affordable (or sometimes free) living arrangement where they can have a sense of belonging, be treated with dignity and feel safe. We currently are doing a lot of this work manually ourselves but envision technology to play a bit part of the screening and filtering process. Consider how to provide a fixed address, for people to maintain their ids. (i.e fore Work with Services & AusPost to ensure that a place is available to receive and collect mail. A co-op body with access to rental properties and allow for price control rental (i.e. Similar to Defence Housing Co-op). Access to unused land for a community garden to grow and farm to address issues of access to fresh and healthy food services and the potential to provide employment. Consider the issue of Youth without a place to call “Home”, young people with no permanent place to call home during critical education period Year 10 to HSC. These are young people not yet sleeping rough, but a moving from home to home. How are these young people identified and what can be done to prevent permanent homelessness. Consider tackling how people could maintain a 100 pts check with no fixed address to allow access to services such as bank account, apply for a private rental. We propose a close look at how to bring the various data sources together to give a complete and holistic picture of homelessness, to allow research and policy maker to map, identify, understand & take action to prevent or circumvent homelessness. We are looking forward to seeing how the hackers, hipsters, hustlers and humanitarians at the hackathon bring this all together. Be sure to follow along with the #hack4homelessness hashtag during the event. 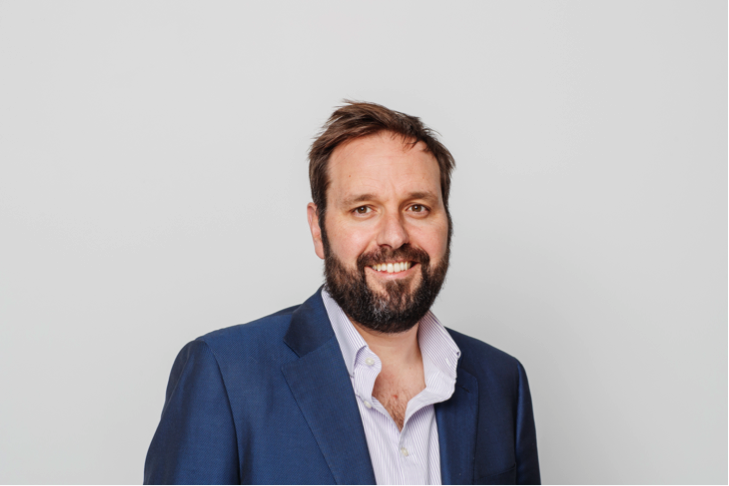 Gavin Heaton is the founder of the Disruptor’s Handbook, the strategy and innovation firm that helps enterprises shift mindset, innovate products, and transform their organisation. He is also voluntary President of Vibewire. Our social impact hackathon, #Hack4Homelessness is this weekend 15-17 September 2017. In the lead up Rob Holt from The Wayside Chapel was kind enough to share his personal journey through homelessness with us in the video interview above. Rob details his struggles with loneliness, isolation, and separation from community and loved ones. The Wayside Chapel has community service centres in both Kings Cross and Bondi. Each year, thousands of people visit Wayside for assistance in gaining equitable access to essential health, welfare and related services. They create a healing community by breaking down the barriers of judgment and providing a safe place where people from all walks of life are welcome. People marginalised by homelessness, mental health issues and substance abuse can turn to Wayside for compassion, tolerance and support. Rob’s motivation for getting involved with #hack4homelessness is to support his “brothers and sisters by drawing the community into the fold”. He believes “recognizing the human being – not the alcoholic or the drug addict – and saying hi is more powerful than putting money in a person’s hand” and wants organisations to allow their employees time off to volunteer with their families. Rob thinks if kids – our future voters and leaders – get involved volunteering with their parents from a young age and can see and share in the issues being experienced by homeless people that those who are suffering now might have a better chance in future society. You can read more about Rob’s story here. 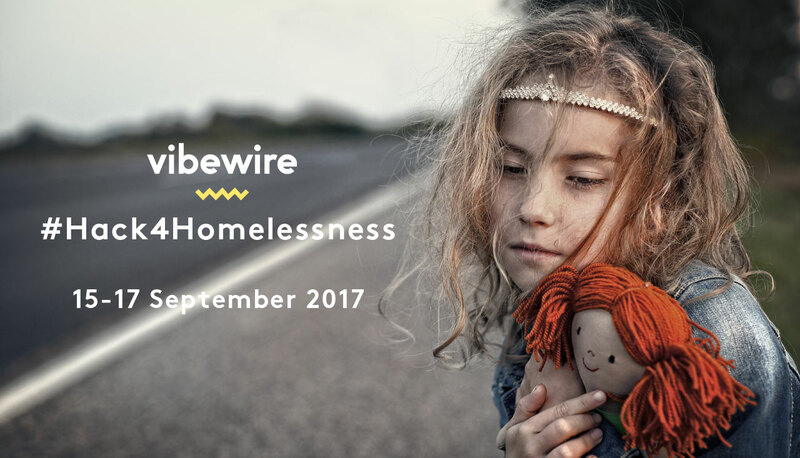 Vibewire’s social impact hackathon, #Hack4Homelessness runs from this Friday 15 September to 17 September. In the lead up we had a chat with Rabbi Mendel Kastel, CEO of the Jewish House Crisis Centre, our amazing partners. Jewish House is a non-denominational, not for profit organisation that offers accommodation, counseling services and other essentials for people in crisis. Jewish House provides an inspiring framework to look at innovative ways to measure and implement new ideas. Rabbi understands “we need to have an open mind to look at how we can do things better and I that a hackathon gives an opportunity to get different young minds to come up with ideas”. Jewish House are one of the leading independent agencies taking a holistic and community based approach to addressing the immediate distress, causes and outcomes of homelessness, to then break the cycle and seek a permanent stable housing situation. Rabbi believes “that we should not have a homelessness problem the way we do in Australia and every person should have their basic needs facilitated in this country and making a difference to homelessness is a good start”. Over the weekend’s #hack4homelessness Rabbi wants to see new ways of thinking develop to “help those who are in contact with those experiencing homelessness – for them, their families and the community”. Ahead of our social impact hackathon, #Hack4Homelessness scheduled next weekend (15-17 September 2017), we thought we’d catch up with QBE Australia’s Chief Risk Officer Mark Baxter who resonates greatly with this initiative having been touched by homelessness on a personal level. 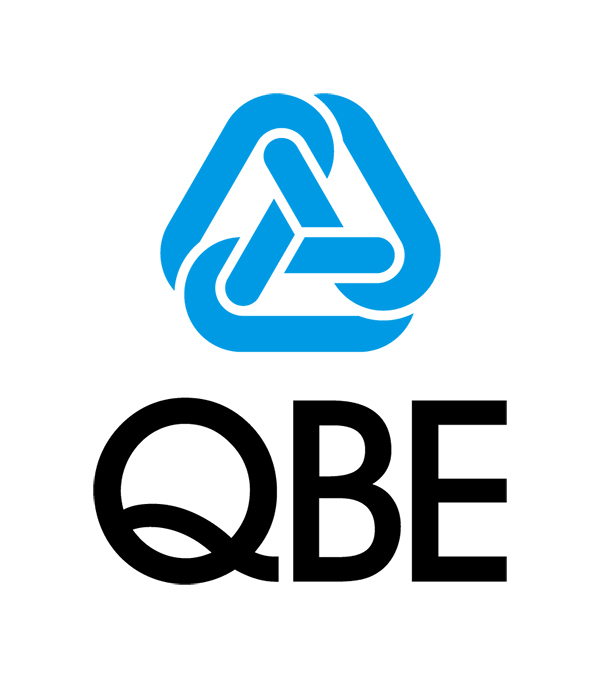 QBE Insurance Group is one of the world’s top 20 general insurance and reinsurance companies, with operations in all the key insurance markets. They employ more than 14,500 people in 37 countries. Mark explains “QBE has a proud tradition of supporting social causes and have done a lot around homelessness in the past”. Mark had a difficult childhood, growing up in a poor family in country Victoria, his father struggled with alcoholism and they were kicked out of their family home. They moved from house to house relying on others “grace and favor” to keep a roof over their heads. Mark’s father died when he was just 11 years old and later due to cancer his mother died when he was 15 years old. He is committed to ending the stigma surrounding homelessness. He remembers going past Martin Place a few weeks ago and feeling as if the people had been demonized by the misconception as to why they are homeless. Thinking, “but for the grace of god it could’ve been me”. His aim is to educate the community that “They’re not bad people and I get really, really annoyed that people do think they’re bad people because the majority are not”. Mark is very excited about the upcoming Hack4homelessness and “to see some pragmatic real solutions to come out of this that actually help people”. They say that every startup needs a hacker, a hipster and a hustler. The hacker to build your technology. The hipster to make that great tech shine. And a hustler to package up and sell it. For our upcoming #Hack4Homelessness hackathon, we also need the fourth “H” – the humanitarian. It’s a vital role within any social enterprise. At almost every event we have run, seen or participated in, these core roles are on display in the hackathon teams that win. But even if you don’t have the confidence of the hustler, there are some ways that you can really make a hackathon work for you – and it’s not only about winning the pitch session. Make mentors your friends: A good hackathon will have the support of respected industry mentors. These people give up their time and lend their expertise to help you make the most of your hackathon experience. Listen to them like you would an old friend. Remember, that beyond the intensity of the weekend, these are people who can help bring your idea to life. Impress them with your willingness to learn and creative approach to implementation. Ask for help: It’s amazing how often a hackathon team can close down during an event. The combined pressures of a fixed timeline and public scrutiny can challenge the most confident hacker. As soon as you hit a road block, find a way around it. Tap the mentors. Ask for insights from subject matter experts. Chat to other teams (you might be surprised how collegiate a competition can be). But don’t go around in circles – the hackathon spiral of death can be fatal to your team’s chances. Divide and conquer: You each have your roles and responsibilities. Get on with it. Let the hustler hustle, the hacker hack, and the hipster stroke his funky beard. Find your people: Sometimes you have to take a chance – turn up to a hackathon where you don’t know anyone and join a team. Speak with others. Offer to help. Get a vibe for the other people in the room. And track down those who seem “like minded”. These are your people. And together you will do great things. Hackathons are more than just a chance to test out your ideas and win some prize money. Hackathons are a great way to showcase your skills to potential clients, meet other developers and collaborators and even kickstart your new startup social enterprise. Be open minded and you’ll find that deep inside, there’s a hustler waiting to get out. Be sure to share in the comments. We’ve been working very hard behind the scenes to bring the right people, mentors, supporters and experts to help you build the most amazing solutions to the challenges of homelessness. But right now, we’d like to share information about the prize pool for the #Hack4Homelessness. Remember, you can register to participate here. Check out the AcademyXi courses available including growth marketing, virtual reality design and product management! If you have not registered as yet, you can do so as an individual or as a team. 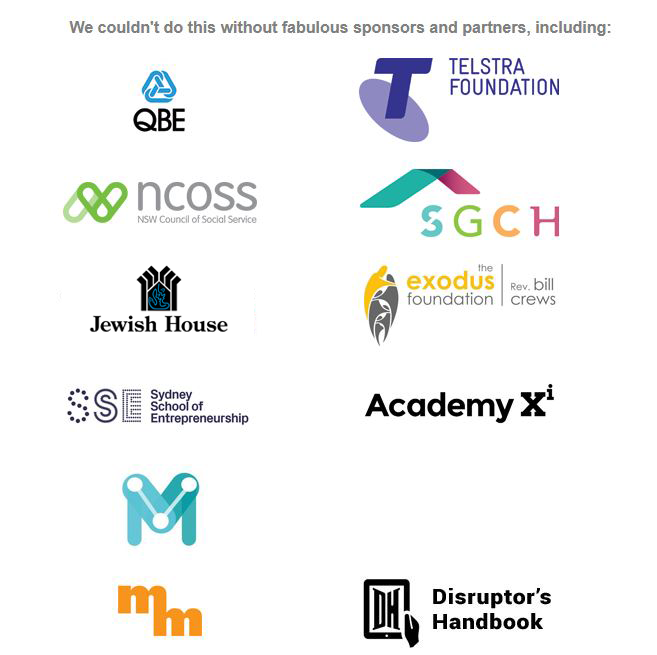 With our social impact hackathon, #Hack4Homelessness scheduled for 15-17 September 2017, we thought we’d go behind the scenes to talk with our partners and sponsors. To kick off we spoke with Stephen Rutter, the Head of Experience with Sydney School for Entrepreneurship. With more than 20 years in global business environments covering logistics, entertainment and education management under his belt, we wanted to understand what motivated him to become involved in our Hack4Homelessness hackathon next month. “SSE is an unprecedented new partnership – with 11 NSW based universities and TAFE NSW”, explains Stephen. “This is our launch year thanks to cornerstone investment by the NSW Government. Stephen is committed to cultivating and expanding the SSE community and noted the importance of “providing the voiceless a voice. 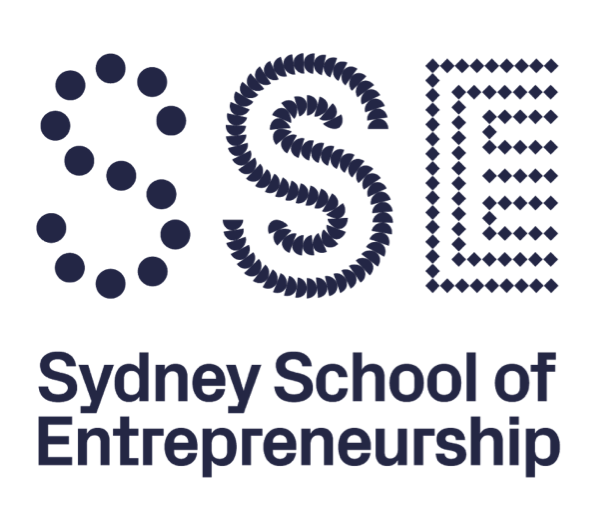 Sydney School of Entrepreneurship is committed to building a community that not only serves the member institutions but our entrepreneurial partners for a wider social impact”. The aim is reduce the amount of people in a state of homelessness and provide intervention methods to reduce people being forced onto the streets. Stephen believes we can make this difference by having the homeless ‘as a part of the community and looking at their needs as we would other stakeholders’. Stephen is looking forward to action coming out of the hackathon with ‘new ideas that can be translated into solutions to solve homelessness’. 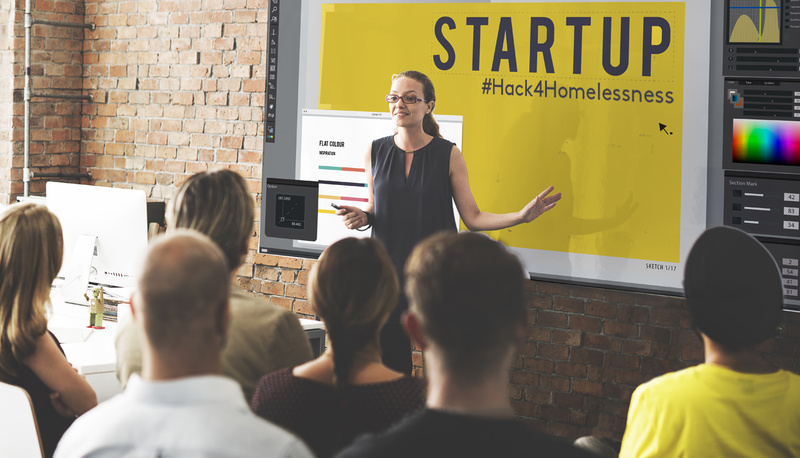 With SSE having just launched as part of the entrepreneurial community we are excited to see them tackle many more social impact opportunities like #Hack4Homelessness in the future. Welcome to Good Vibes with Vibewire, your regular dose of the fresh and the fun. The entrepreneur world can be pretty ruthless at times so here are a few positive points to get behind. + PRESSing news — Channel 10, which went into receivership in June, has been bought by US broadcaster CBS. The offer is still pending regulatory approval, but if successful, hopefully we’ll be seeing more creative stateside content coming to down under free-to-air. CBS is home to some great productions (looking at you The Good Wife), and it will be interesting to see how the future of free to air broadcast changes with the influence of foreign ownership. Fingers-crossed that Australian-made and locally produced content doesn’t get the cut! What will happen to our favourite-soap-that-nobody-watches, Neighbours?? + Look What You Made Me Do, a shout-out to Taylor Swift! The famous songstress has released the first single for her upcoming album Reputation (release date Nov 10). It’s been getting some mixed reviews, but no doubt we’ll know the words in no time (whether we want to or not). With inspiring lines such as ‘I’ll be the actress starring in your bad dreams’, now we all have a new anthem to sing next time we’re bathing in a tub full of jewels or robbing a bank in a cat-mask. + With the postal-vote plebiscite making its way to our mailboxes very shortly, there’s no time like the present for some great think-pieces about equality. Check out the upcoming Quarterly Essay by Benjamin Law, Moral Panic 101: equality, acceptance and the safe schools scandal, (release date Sep 9) for an insightful look into homophobia in contemporary Australian society and how we are failing vulnerable youth. + “To read every article the Australian has published on Safe Schools is to induce nausea. This isn’t even a comment on the content, just the sheer volume … And yet, across this entire period, the Australian – self-appointed guardian of the safety of children – spoke to not a single school-aged LGBTIQ youth. Not even one. Later, queer teenagers who followed the Safe Schools saga told me the dynamic felt familiar. At school, it’s known as bullying. In journalism, it’s called a beat-up” —Benjamin Law, Moral Panic 101. Each week we interview one of our startup teams that work in the Common Room to learn more about what they’ve been up to. This week, we caught up with Angela & Liliana from Lustr to find what her team have been working on and beyond. This week, we caught up with Ace from The Plus Ones to find what his team have been working on and beyond.